The indigenous people of Mexico were very accomplished potters and already had a very long tradition producing earthenware. But they did not know how to use the potters wheel or tin-glaze their pottery, which is one of the main characteristics of the majolica ceramic known as Talavera. Other versions state that the Dominican friars were the ones that knew how to produce this type of ceramic and that they were the ones that taught the Indians how to do it. 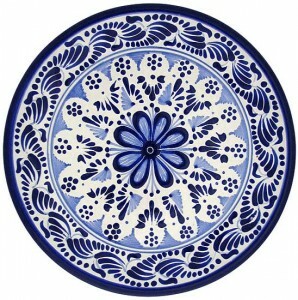 The truth is there are documents that record the presence of several craftsmen from Talavera de la Reina in Puebla during the 16th Century, which established their workshops to produce tiles and ceramic wares. It was a very profitable business since there were so many churches and monasteries being built. In time, a potter’s gild was formed and Ordinances were laid down, that all of the potters that wished to produce Talavera had to follow. This was done so that the quality of the ceramics called Talavera was uniform and that this earthenware had a distinctive style and excellence. The color blue was to be used on the finest ceramic. This was so because the mineral pigments needed to produce this color were very expensive. The customer could then easily distinguish the quality of fine ceramic from one of lesser quality. To avoid falsifications each master potter had to sign or mark his products. Three types of earthenware were to be produced depending on the quality of the pieces: Fine, Semi fine, and for Daily use. 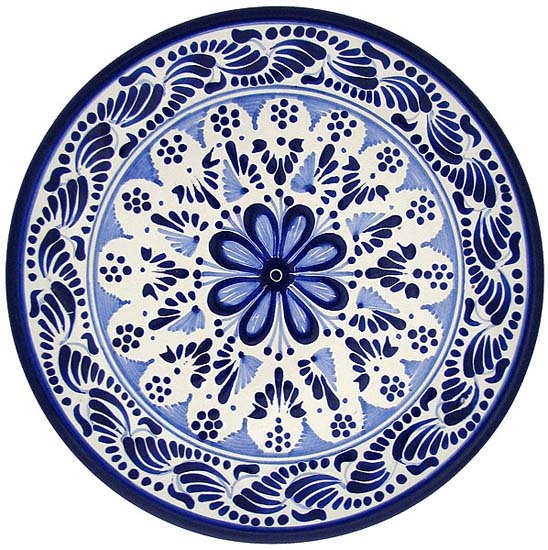 The majority of Talavera pottery offered by La Fuente Imports, including all plates, platters, and place settings, is made by hand in traditional fashion and is 100% lead-free as well as microwave, oven, and dishwasher safe for years of enjoyment in your home.